The Vengeance Sleeveless wetsuit is designed to put you in a slightly different position in the water than you are used to. It is commonly called "the swimmer's wetsuit" because, no matter the type of swimmer you are, you will look like someone who has been swimming all their life. These are brand-new VENGEANCE SLEEVESS which have been returned or exchanged. 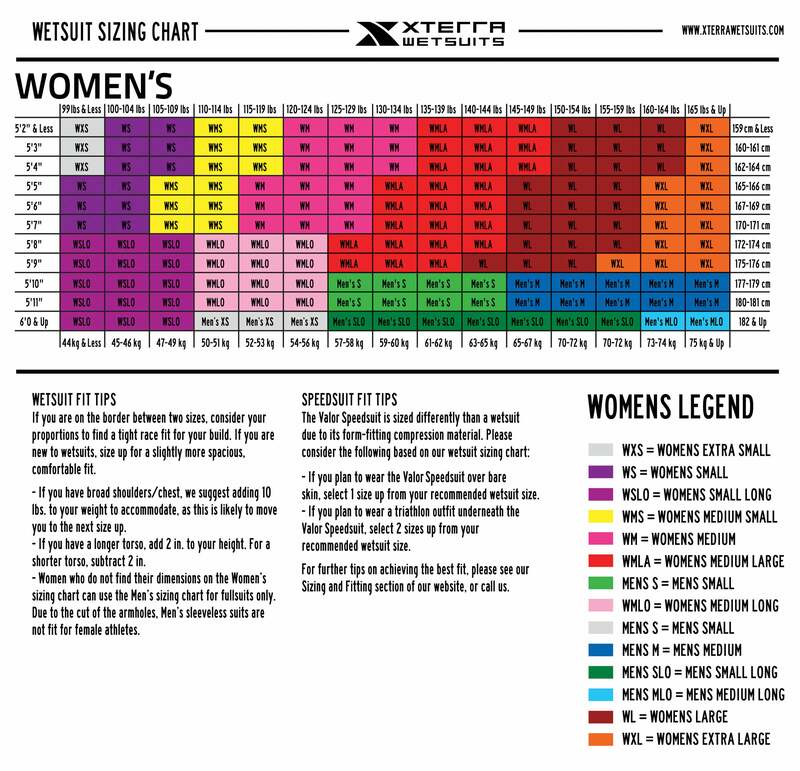 This is why we are able to offer this product on sale on XTERRA OUTLET. Every wetsuit comes with a packet of glue for minor nicks and tears which may occur from time to time. The Vengeance Sleeveless is a fragile wetsuit because we've pumped it full of air to make it one of the most ideally buoyant wetsuits on the planet. The Vengeance has the ultimate buoyancy in the hips & legs - 5 mm thick neoprene with captured-air (dimples) to lift your legs high. The chest is only 3 mm for three reasons. First, thinner neoprene means your lungs can expand. Second, since your lungs already have air it lifts you, and the 3 mm is just the right amount so you are swimming balanced. The Vengeance Sleeveless is the swimmer's wetsuit. The Vengeance was built from the ground up with features carefully constructed to provide the most output in a swim. Fully coated with the slickest possible nano-super composite skin, it maintains an industry leading .02 drag co-efficient allowing for the smoothest possible swim. The Vengeance Sleeveless wetsuit was designed with chest and torso thickness at 3 mm, and 5 mm in both the front and back of the legs. This aligns the swimmer to be more streamlined in the water, allows for natural range of motion in the stroke, and creates a feeling of "swimming downstream."